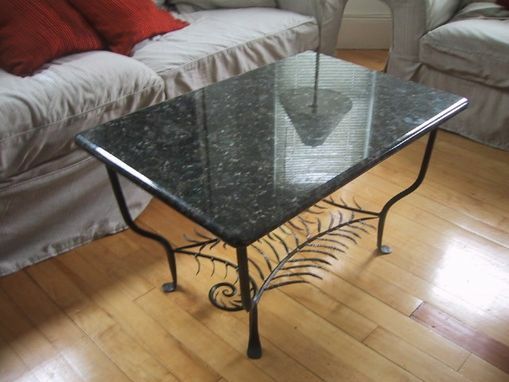 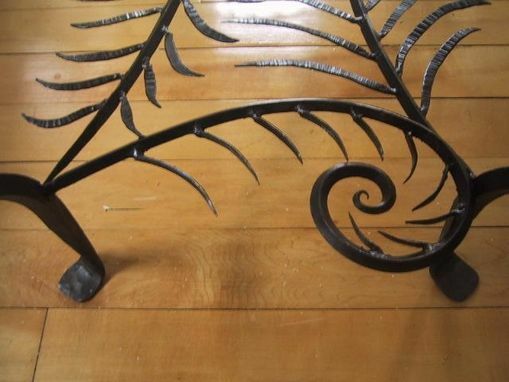 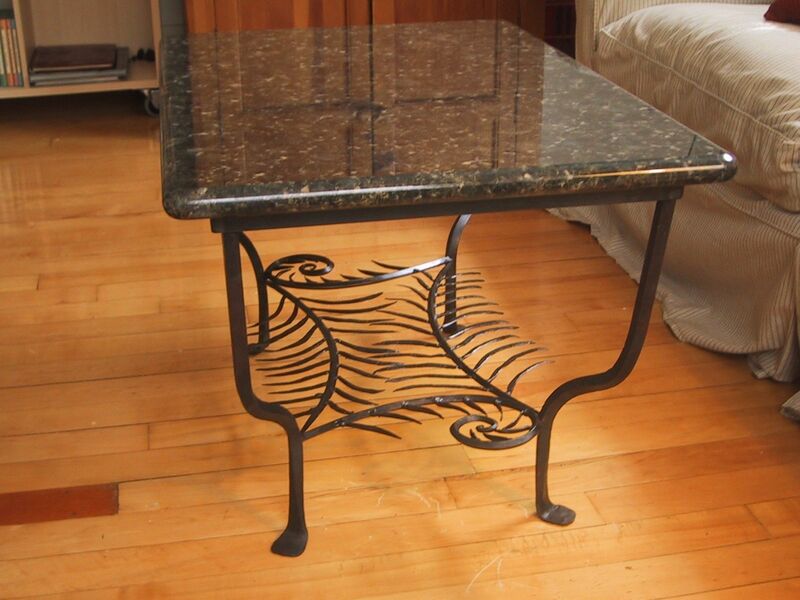 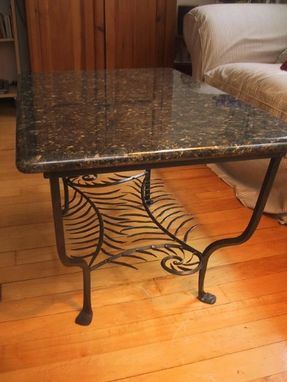 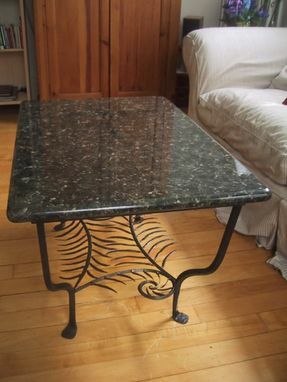 Granite topped table with a base designed to look like the leaves of a fern opening up. 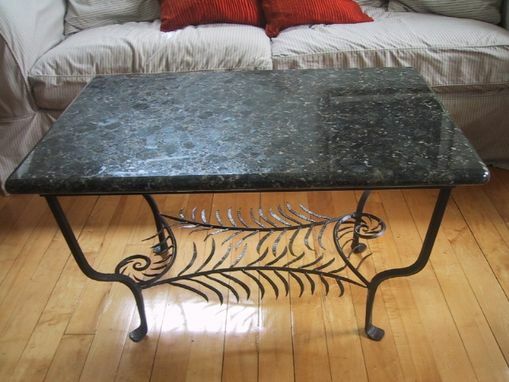 The granite is verde butterfly and was chosen to be reminiscent of a forest floor in the spring. 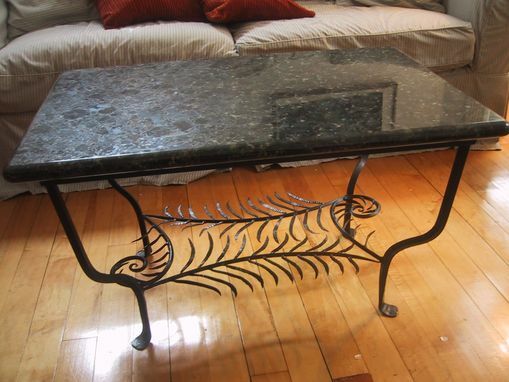 Dimensions: aprox. 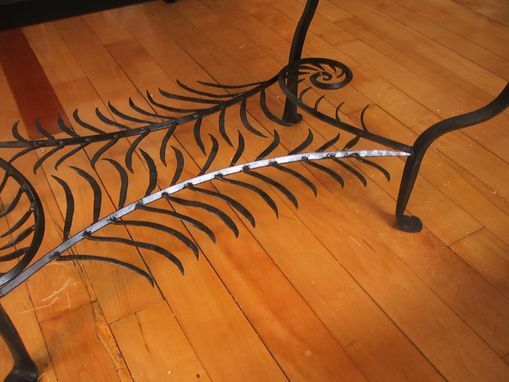 2 feet wide by 3 feet long and 22 inches high.